Universal Pictures’ The Snowman has been released to digital formats two weeks earlier than Blu-ray and DVD arrive on Tuesday, January 16th. For those of you with 4k TVs, this is one movie you might consider purchasing digitally since the initial disc releases do not include an Ultra HD Blu-ray edition. 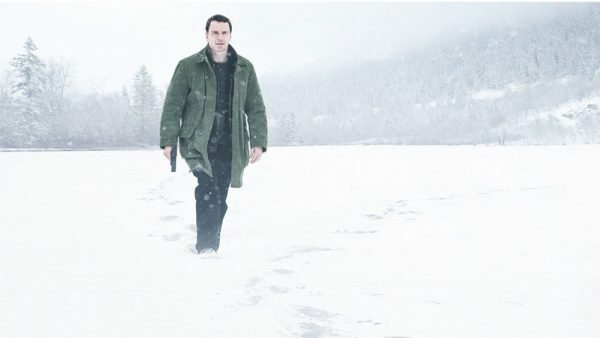 Martin Scorsese executive-produced this thriller based on Jo Nesbø’s New York Times bestselling book series in which detective Harry Hole (played by Michael Fassbender) searches for a killer who uses snowmen as his calling card. The film can now be purchased in Digital SD, HD or UHD (4k). Here’s a breakdown of details and where to buy The Snowman in Digital SD/HD/UHD. Popular services where you can buy The Snowman in digital formats include Amazon Video, Apple iTunes, Google Play, FandangoNow, Microsoft Video, Verizon FiOS On Demand, and Vudu. For those of you with Ultra HD TVs, the film is available in Digital UHD (4k) from Apple, Google Play, FandangoNow. Apple iTunes, Google Play, FandangoNow, and Microsoft Video all have have The Snowman available in Digital UHD (4k), which can include HDR specifications that extend the color range on devices that are capable of displaying the format such as 4k HDR TVs, Apple TV 4k, iPhone 8 and iPhone X, as well as supporting Android TVs, phones and tablets. The Snowman in Digital SD/HD/UHD is $14.99 from most services. That’s $5 cheaper than a typical new 4k release. However, Microsoft Video has The Snowman priced $24.99 and Google Play is selling it for $29.99. Guess you know where to buy this one! See below for more details on pricing.